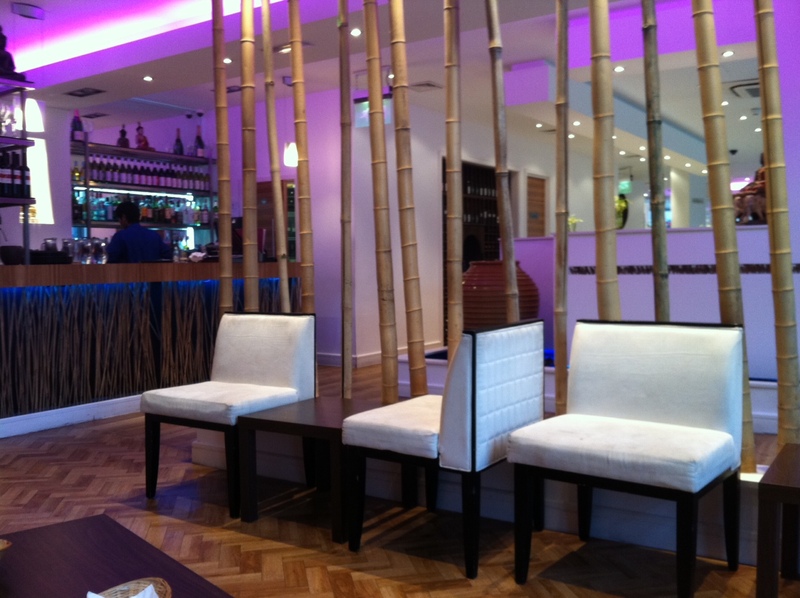 Part of a mini-chain of restaurants (there are also branches in Birmingham, Cardiff and Leeds), Thai Edge is a smart yet relaxed venue. Decor is stylish and modern with a purple theme running through the restaurant, incorporated into everything from the lights as you enter the restaurant, to the napkins and the smart outfits worn by the serving staff. 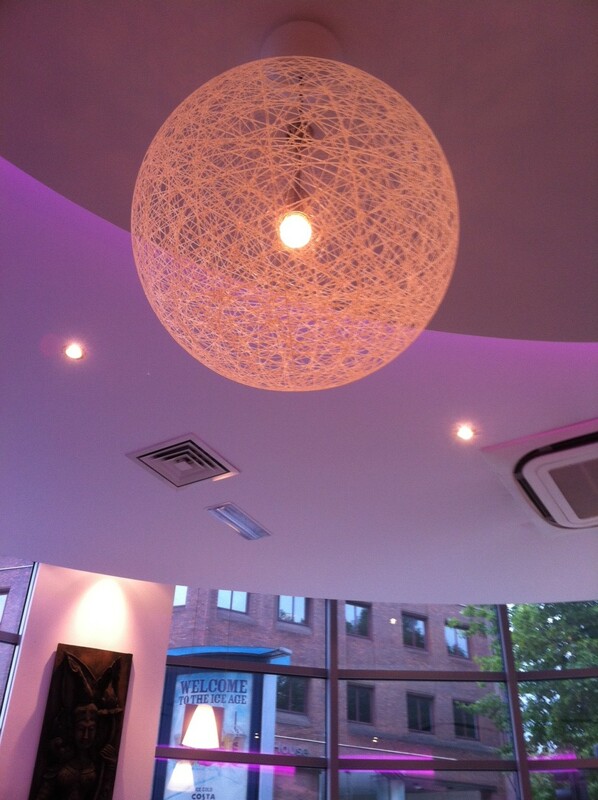 I particularly fell in love with the lampshade above our table, which reminded me of spun sugar! The menus with which we were presented were surprisingly extensive, considering we were there for an early evening deal. The vegetarian in our party seemed happy too – the majority of the dishes on the early evening menu can be ordered as a vegetarian meal, or alternatively with a variety of meats, chicken, prawns or mixed seafood. As I normally do in Thai restaurants, I chose the chicken Tom Yam soup as my starter, presented in a smart white bowl on a stand. 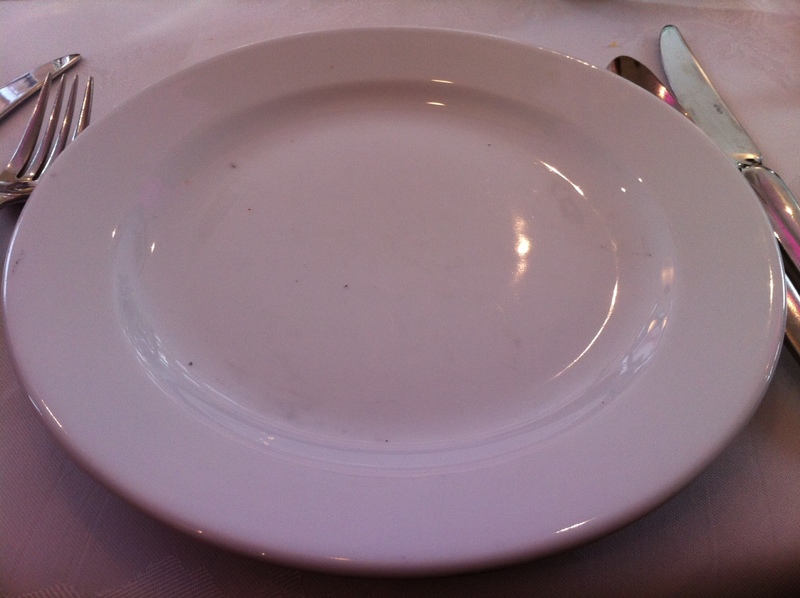 The portion size was perfect, with plenty of chicken and mushrooms and a decent amount of heat. Probably the best Tom Yam I’ve had in Bristol so far. First impression? A LOT of sauce. 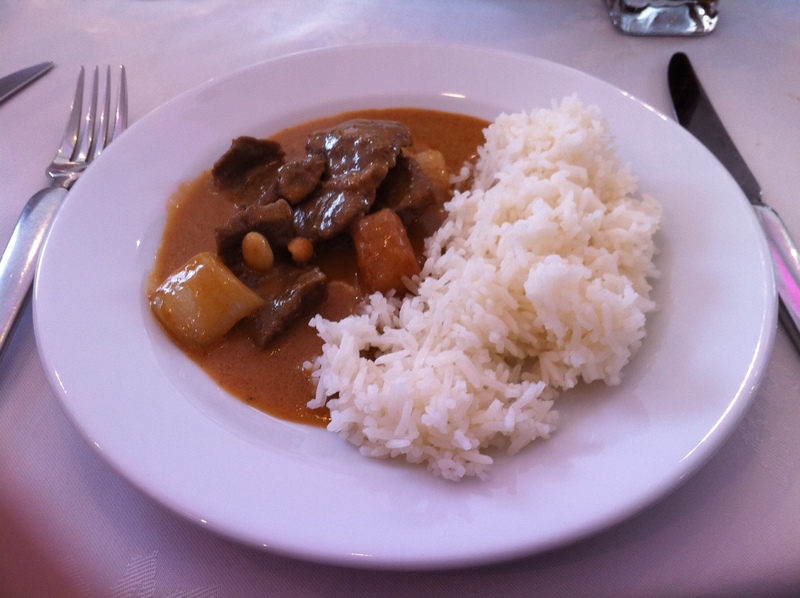 The curry was beautiful, though: huge slices of lovely, tender beef, soft and sweet pieces of onion, halved peanuts and melt-in-your-mouth chunks of potato which had developed an amazing intensity of flavour after being cooked in a coconut milk-based sauce, infused with the more Indian flavours of cardamom and tamarind. 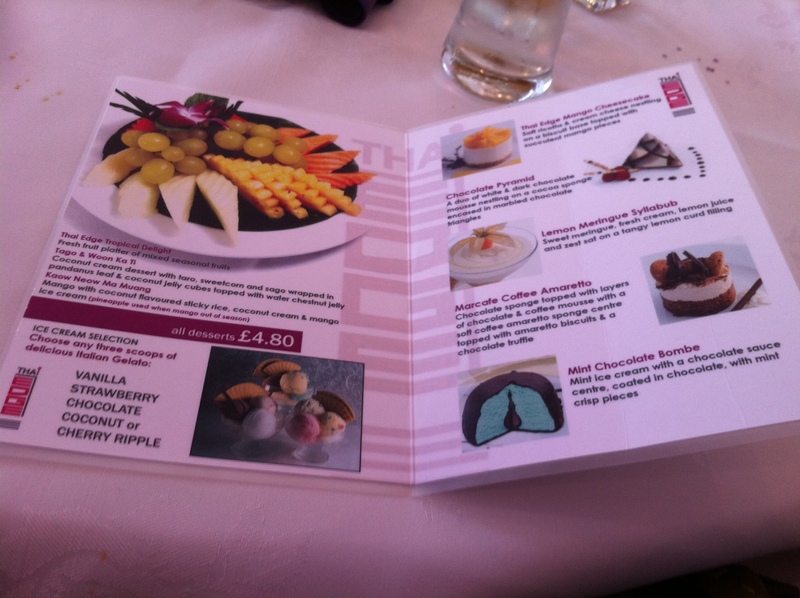 We passed on dessert, already full from two courses plus a huge number of (free) Thai prawn crackers each before our food had arrived, but still had a look at the menu. All priced at £4.80, the majority of desserts listed appeared to be the standard fare for Oriental restaurants, but with the inclusion of fresh fruit platters and the traditional Thai coconut rice with mango. 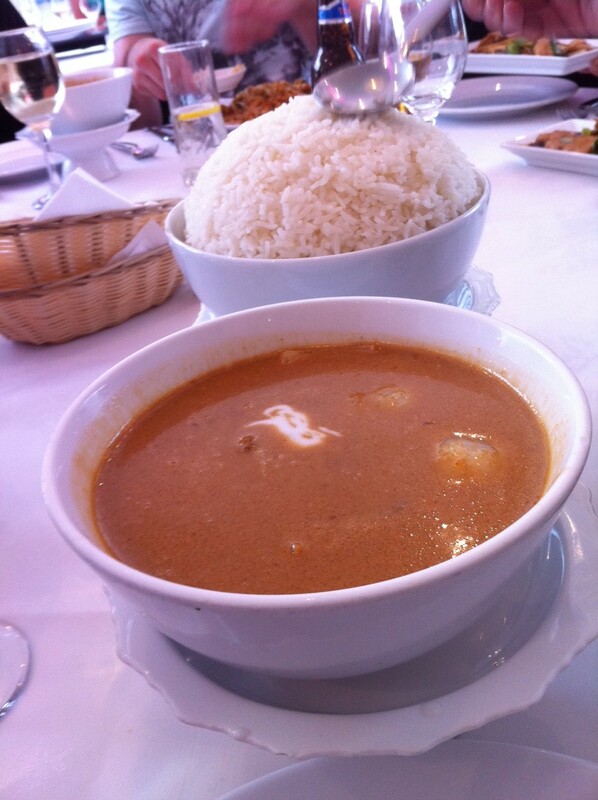 Mussuman curry is one of my fave Thai dishes – need to learn how to make it myself! 🙂 Couldn't believe the offer was valid on a Friday night too, perfect place to start the evening if you're heading out straight from work! Favourite Thai? 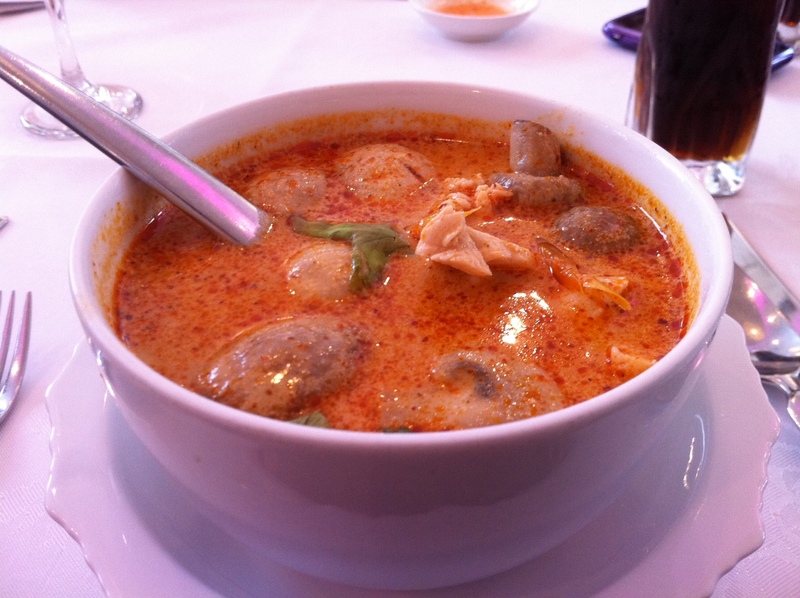 But, but, but…..Thai Classic! Thought Thai Classic was ok but Thai Edge was much better! !